Variscite is excited to announce yet further innovation with our latest new release. Continuing to optimize our SoM portfolio, we’re adapting products to the dynamic and fast-growing embedded markets in which our customers operate. The new configuration will be available alongside the existing, popular clock speed configurations – 528 MHz and 696 MHz – with a longevity commitment until 2030. 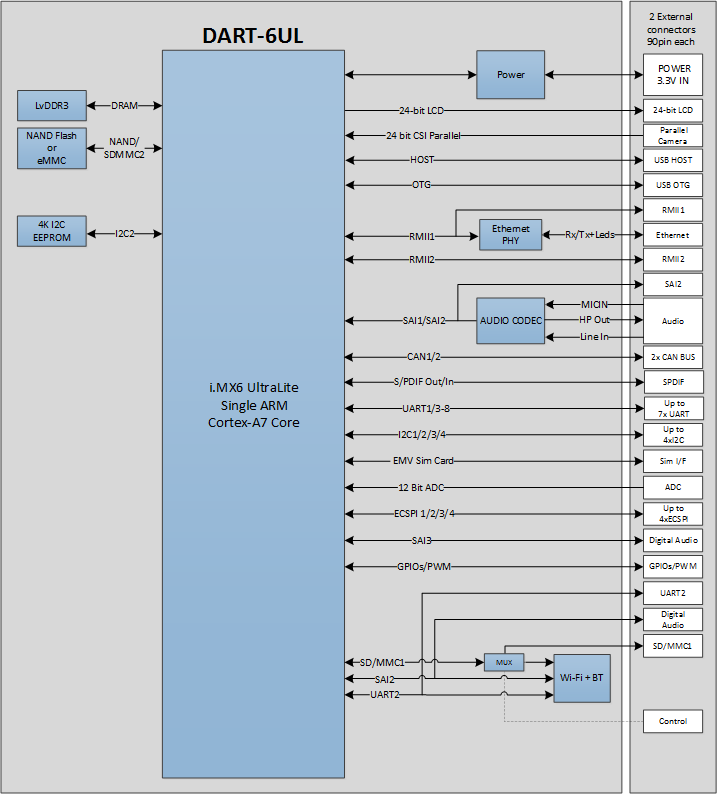 The enhanced 800/900 MHz i.MX 6ULL, Cortex-A7 speed grades are pin-to-pin compatible with existing DART-6UL configurations. As such, this enables Variscite’s present customers to upgrade their DART-6UL based devices with higher performance. It also accommodates new customers looking to develop on a platform with enhanced functionality, at a very competitive system cost. The upgrade of the BT/BLE 4.2 nodule will be available for the entire DART-6UL product-line, bringing significant improvements in speed and security features. This new technology has a direct and considerable impact on IoT devices, particularly those with critical privacy requirements. 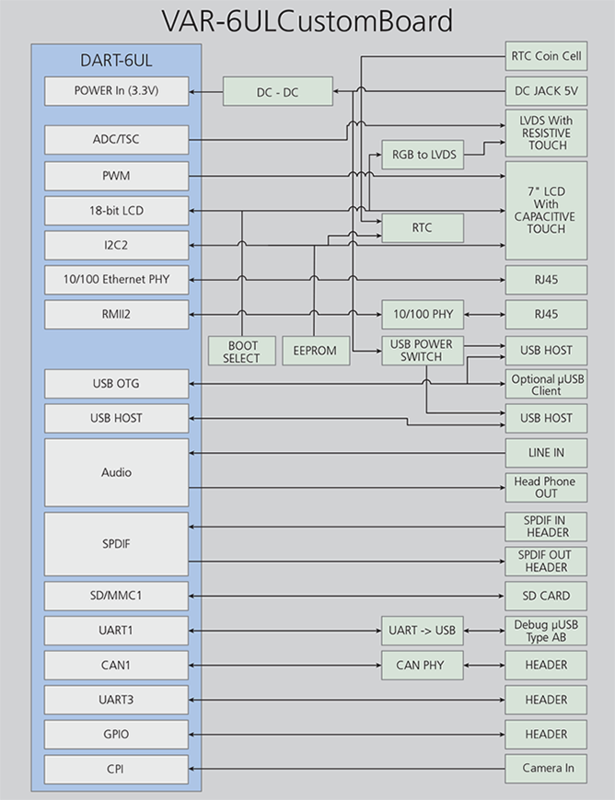 The DART-6UL new configurations will support a wide range of interfaces such as fully certified Wi-Fi/BT, Ethernet PHY, 2D Pixel acceleration engine and Audio Codec. Significantly optimized, the product still retains a compact size (measuring only 25 mm x 50 mm), high power capability and attractive price-point – starting from only 24 USD. Variscite delivers an all-inclusive solution by providing production-ready software suits for the DART-6UL SoM, covering Linux Yocto, Linux Debian, Linux Boot2QT and Android. These solutions significantly ease development efforts and dramatically shorten time-to-market. Ofer Austerlitz, Variscite VP of Business Development and Sales explained the push to constantly extend the company’s portfolio. 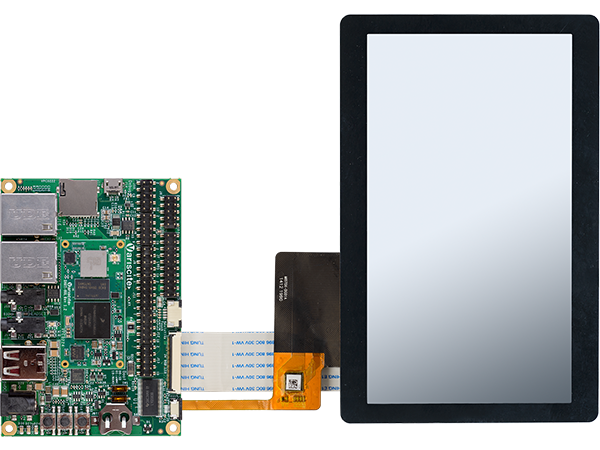 The VAR-6ULCustomBoard carrier board complements an attractive full reference kit of the DART-6UL SoM, which can be used for customers’ evaluation, development and end-product mass production.